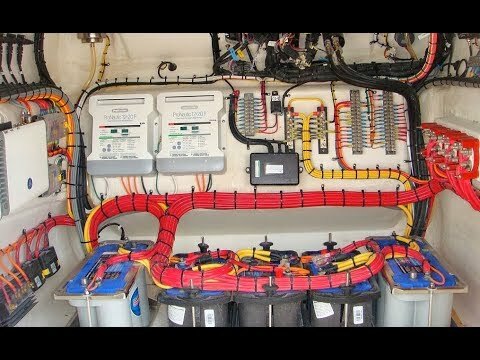 Although batteries are not the most expensive part on our boats they are essential to them in that they feed the cranking power to our engine(s) as well as keep us run house loads. 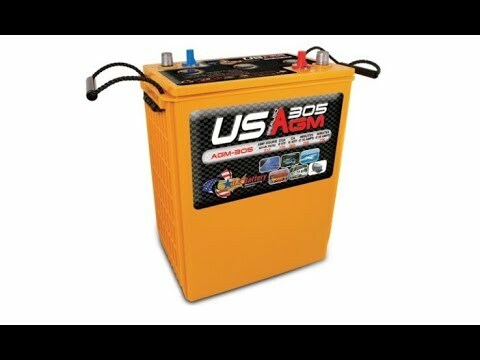 Batteries are at the heart of a boat and with a little tender loving care they will provide us with years of good service. 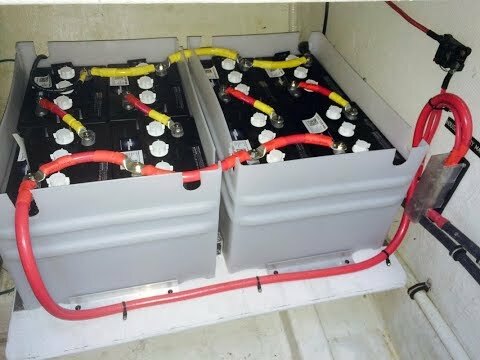 Never underestimate the danger a battery poses aboard a boat. A fully charged battery contains enormous amounts of energy stored. Enough to melt a wrench when placed across its terminals. 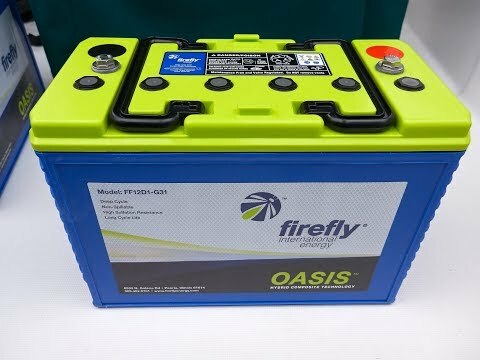 A wet battery's electrolyte solution (a solution of sulphuric acid) will eat through clothes and cause severe burns to the skin. When working around batteries always remove jewellery and be cautious of where you place tools that can conduct current. You should never smoke around batteries as the gasses that are emitted while charging can be explosive. In the case of batteries you should judge a book by its cover. Examine the outside appearance of the battery. Check for dirt, cracks in the container, corrosion. Make sure to replace any batteries that are damaged. 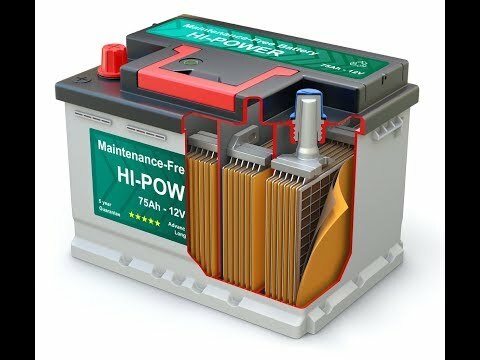 For flooded batteries, any fluids that are around the battery may indicate that the battery was overfilled or is overcharging. Make sure all battery cables and connections are solid, tighten all connections. 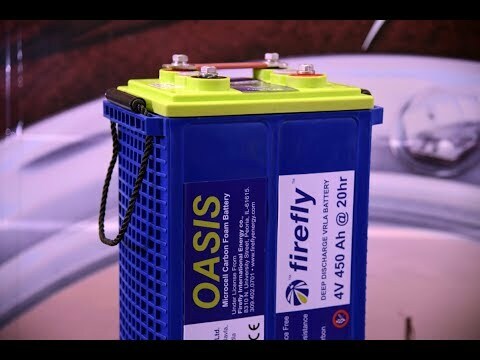 Remember that a battery's internal plates will be irreparably damaged when exposed to air. Fluid levels should be maintained between 1/4 to 1/2 inch above the plates but not more than this as you do not want spills during charging. Periodically remove the Battery cables (negative first) and clean the terminal posts and clamps. You should fully charge a battery when there will be an extended period of time you will not be using it as this will protect the cells. 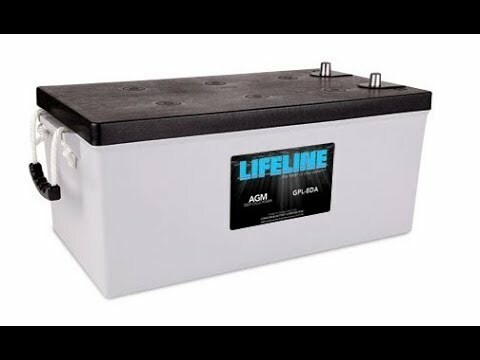 Once this battery is charged make sure to check again for fluid levels as in the process of charging the fluid levels may have dropped.